The Base of Operations will apparently find its way back into Tom Clancy’s The Division 2. While players of the original game were able to establish their base in New York City’s U.S. General Post Office, the White House in Washington D.C. will be the new headquarters of agents in the game’s sequel if it’s true what has been said during one of on Ubisoft Brazil‘s channel hosted Ubi Live Shows. 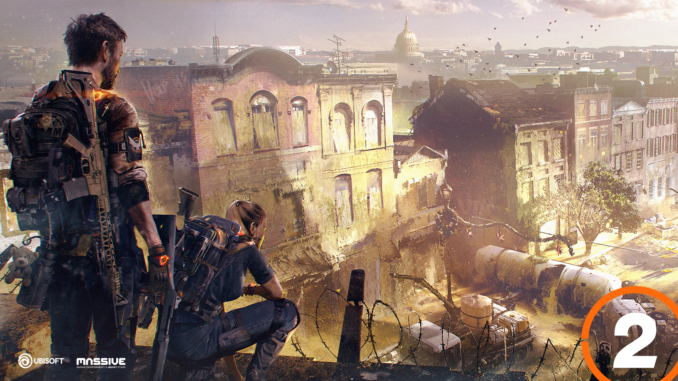 According to the stream and similar to how The Division 1 starts, players will quickly find themselves in a besieged city due to the lack of authorities, with one of the first goals to secure and set-up a home base from where further actions, as well as missions, can be coordinated with maybe other factions like the JTF from the first game and to provide additional shelter for civilians. It’s a bit surprising that this information hasn’t been published by any other official Ubisoft source yet, so take it with a grain of salt until further confirmation. Update: The video is not available anymore, which either means that it got accidentally leaked (too early), or that it was wrong information in the end. The initial concept of being able to have your own base and to upgrade it felt great at the very beginning of the journey, however, the implementation in The Division 1 was kind of suboptimal. While securing the three wings – Medical, Tech, and Security – still made sense as part of the character’s core progression system until max level 30, the BoO itself somehow quickly became unimportant towards the end-game aspect of the game – besides being a fast travel point for all kinds of activities. We don’t know yet in which ways the new base will be involved in the campaign and from a gameplay perspective, but we hope that it will change in The Division 2 and that the Base of Operations will not only be a place of interest for agents and friendly factions, but also for hostile ones who might want to get it back under their control. Therefore, players might have to regularly defend this place against attackers while being able to earn rewards. We already know that there will be a new gameplay mechanic which will support this kind of system – like the Crash Site of the Air Force One that has been shown in one of the first gameplay videos – where certain areas will be constantly under siege. Maybe the player’s base will be part of this. Let us know what you think about this location and stay tuned for more information.